It’s never too early to get prepared for Ramadan, cooking ideas and inspiration included. This year, I want everyone to start thinking way ahead of time about eating healthier, making dishes simpler, using local and fresh foods as much as possible and even consider growing as many of the ingredients as you can. Are you up for the challenge? We’ll talk more about that soon, insha’Allah. For now, you can take a peek inside my cookbook, Summer Ramadan Cooking, and hopefully get inspired to make fresh, tasty and super quick meals for your family and friends and of course, for yourself. 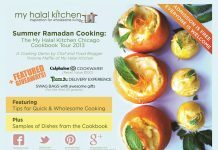 I’m giving away one digital copy (a downloadable PDF version) valued at $14.99 USD that you can use to print out and save and start planning your Ramadan menus ahead of schedule and focus on what’s truly important in the blessed month of Ramadan. If you have no idea what Ramadan is about and simply want to know and understand the rituals of fasting and eating at this sacred time for Muslims around the world, this book will inform you about that, too. In need of resources of where to source halal products, specialty products for Ramadan and Eid? It’s in there, too. To enter, simply leave a comment about what you do around this time of year to get prepared for Ramadan- mentally, physically, domestically, spiritually, whatever it is and then some. I want to hear from you! We’ll choose one randomly-selected winner to receive the download. 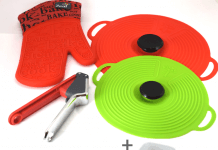 Giveaway ends on Sunday, March 28 2015 at 12:01 AM CST. Please read the MHK Giveaway Guidelines to enter. To get myself prepared for Ramadan, I make sure that I make up for my missed fasts. I prepare a menu. I also print out a Ramadan Calendar for my daughter to use during Ramadan. Thank you for alk the great recipes and tips. 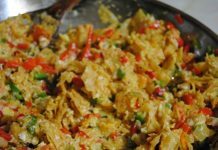 Even though we are going into a winter ramadan down under It is always nice to have summer recipes that are lighter for our bodies to digest. Love your work. i make intention to do the best i can .i try to clean my heart ,so my deeds can be the best they can be. do all the house work i do nearly all the work first .then make samosas to put into the freezer.and i check your recipes for more easy food to make. Start practicing my recipes so that I don’t hav issues with salt n quantity. effort in extra work but in prayers n remembrance , for that particular month! I make my intentions, try to plan how i will use my time, stock up, clean the house, make samosas and freeze them. O Allah let us reach Ramadan! ameen. 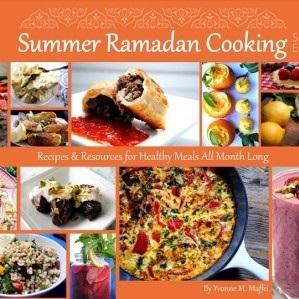 Looking for healthy and deliciouse ramadan recipes. Being A good muslima. Prepare the children. Talking about our Deen, practising. Looking for children activities and inspiration in shaa Allah. Having the right intention. Alhamdulilah as Ramadhan approaches, I try to make special dua to Allah SWT to grant me the blessing of completing Ramadhan and benefitting from it this year and in future years inshaAllah as my mind wanders towards the thought of those I knew who were alive the last Ramadhan but have returned to the Almighty during the last few months. Also, it is a time to memorize Surahs which one can recite during Taraveeh. I feel this is also a good time to read about fiqh issues pertaining to fasting. This is my very first Ramadan of many more to come. As a new convert, I am learning and experiencing a whole new life that is enlightening and at times hard to adjust to. I pray that I am able to complete the full month of Ramadan as I am supposed to do. I pray to Allah to make me witness the coming Ramadhan in good health and for blessings. I make sure the freezer is stocked and research make ahead freezer meals. Assalamualaikum.. This my first year that I am actually preparing my kitchen.. and that’s coz it is only this year that this my kitchen.. I’m married two years n started living seperately only a month ago.. I hope I keep my husband well nourished n strong enough to be able to conduct tharaweeh as well in sha Allah.. I am preparing myself for Ramadan in all the way.Mentally I am controlling my mind from the desires,trying to be more patient and silent without talking unnecessarily. I am keeping in the mind the fasting not only avoiding foods but all our activities should obey to the rule of Ramadan.When I say physically I am eating healthy foods to be strong on the days of Ramadanto bear all the Hardships which I am going to go through.Domestically I am cleaning and arranging my house to welcome the Ramadan like a new VIP… 🙂 and putting time schedule for the work done to be on dat special days.Spiritually we are focusing more in our prayers,daily activities and getting ready for all additional prayers.Honestly speaking we love the Nights of Ramazan.we feel it is like a gifted days. Aoa I m trying to understand Quran better so I could enjoy Ramadan more. Assalamu Alaikum. The trend in South African Indian homes is to fill our freezers with pies, samoosas and 100 other savouries. Alhamdulillah, for the past 4 years my family has stuck to simple, light meals – a soup because it is winter, one savoury as a treat for the little ones fasting and a grilled chicken, steak or chops. Generally we break up our meal into soup and savoury after Iftaar and the grills after Taraweeh salaah. For the early meal (sehri) we have a cereal, yoghurt, fruit, dates and tea. My husband prefers a smoothie made with banana, dates, oats and milk. My kids love the occasional toasted sandwich. I am currently filling my freezer with a few savouries and marinated meats. Tomorrow I will start keeping my qadha fasts, Insha’Allah. I have increased my tilaawat of Quraan, as well as my daily Thikr. Allah make it easy for us all and keep us steadfast, Ameen. I have to prepare better this Ramadan. With the long hours and heat, I need to have a plan in place. I had a Muslim roommate for 5 years and during Ramadan I fasted too because it just didn’t seem right to be cooking and eating and drinking when they were not. During Ramadan, we usually break the fast with soup. Then we have salad and rice and meat usually boiled chicken. Salaam alaykum. Because I have to combine work with Ramadan and cooking for the family, I have learnt to prepare ahead. The key is having a lot of my recipe ingredients pre cooked so I can toss everything I at Iftar time. I hope to step up my game as I am planing Insha Allah to host Iftar parties. With my special diet needs, I search for recipes I can transform to be gluten free and diabetic friendly, yet still yummy enough for the whole family. It is especially important during Ramadan. Bismillaah, in shaa ALLAAH this gonna be my 3rd Ramadhan in the US. Always missing how Ramdhan like in Indonesia, but I also enjoy my Ramadhan here with my muslim community. I love coming to the masjid breaking the fasts together at the masjid, helping out with dinner preparation and also tarawih prayers together. Love Ramadhan wherever I am I guess Alhamdulillaah. Rabbana balighna Ramadhan. Hello, i really enjoy reading your articles from time to time. I like Ramadan and like cooking during that period and preparing easy and delicious meals. 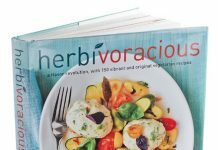 I hope your cook book will give many more ideas around mealtime ! I am a revert living in a somewhat remote area in the Netherlands. There are not many muslims here to share iftar with and last year my son, wjo is also a revert, lefy for studies to the soth of the Netherlands. That meant biggedt part of ramadan alone. Thats tough. So meals were something that were not well prepared. Not nutricious. Just a quick bite as the days were long and i work fulltimer. This year my son emigrated to Kuwayt for further studies so i will be totally alone. I really can use some support by your insppirationL book to make sure i force myself into eating some healthy things. For preparation of Ramadhan, I would normally do detox to purified my body so that I will be able to do my Ramadhan without any difficulties insyallah. I am learning about Ramadan since I have many friends who are Muslims, and I find Islam very fascinating. I have cooked one of the Ramadan soup recipes you have posted, harira, and I loved it! It was so filling, tasty, and healthy, and the delightful aroma of the soup was so warm and inviting. I’m planning on preparing more of the soup this weekend. Jazakillah khair. I try to start preparing 1 month ago if not 6 months ago as sahaabi(RA). 1. I start cleaning the home. 3. Marinate chicken, fish and pack in individual packs. 7. Start reading Ramadan related articles to give boost to myself. We invite our friends and their family in Ramadan. I would love to cook something different rather than the same Indian varieties for my 7 yr old twins too who are going to do fasting this year InshaAllah. Aswrwb, I make up my missing fasts, clean my closet and donate all the extra clothes, make sure I have half done my food I will be repairing during Ramadan. Keeping in mind simple and easy menu and make one dish a day, that way I am not tired for my taraweeh alhumdullilah. I am usually done with my Iftar 30-45 min so it gives me ample amount of time for Daurae Quran and other ibadaats alhm. I also use paper stuff so it eliminate dish washing too :). As we observe Ramadan in Canada, our last 3 years have been truly hard to think of at the beginning; we start our fasting around 2 am and break it around 8:55. This year it is going to be yet longer! However, the preparation for it mentally and spiritually truly helps, and subhan Allah once it starts it is nothing more a true blessing and ease! For me personally as a mother of very young kids I make sure that my kitchen has their breakfast and lunch in hand. Their routine changes so they wake up later than usual to be able to join us for Iftar and later for Tawaweeh. And they love it Alhamdolellah. We work out a routine including several activities (but no summer camps so the elder one can practice Sawm) including reciting/memorizing Quraan and halaqas at home. When it comes to cooking, we maintain a healthy routine perhaps more than any time of the year. More fibers, less red meat, and carb reduction to be able to attend to Tawaweeh and Qeyam. So one dish for Iftar besides either soup or salad (and occasionally an appetizer). Social gatherings are so limited if almost eliminated in order not to disturb the worship routine. As for me, I was able to still attend the gym al hamdolellah. By the end of the month, we are lighter in weight, but heavier in heart affection to the month and truly sad it is about to go. May Allah help reach Ramadan with sincere hearts and give us the patience and power to maintain our worship in the way that pleases him, Ameen! Ramadan is new to me. My fiancee introduced me to it and I have been observing with him for the past few years. I’m always looking for how to make it a special time. It would be so wonderful to have this reference handy during Ramadan. At our local masjid we have potluck dinners every Friday and Saturday during this month along with a final potluck on Eid. I am always looking for new recipe ideas! I usually focus harder on prayers, and make a firm intention to read Quran with translation and Tafseer inshA!